When you plug in the Fuxx Fuzz pedal you'll realize it combines a mix of Fuzz, Distortion and an upper Octave (which you can turn off and on) which is musical and easy to use for various styles of music. You can get anything from the John Mayer "Crossroads" vibe through to Hendrix and beyond. 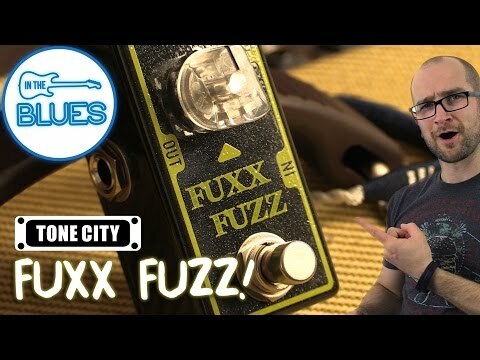 On board the Fuxx Fuzz is a 2 way switch that will change the tonality of the pedal from bright to fat allowing you to mix in the tone control with the gain to get numerous styles of fuzz. If you're a Fuzz fan, check out this guy! Volume - Turn it up or down.. Get it loud! Gain - Controls how much fuzz/distortion you want in your sound it goes from almost dead clean through to balls-to-the-wall. Switch - Up/Down: Octave On/Off.